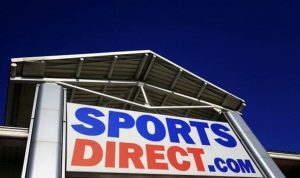 Sports Direct has lost a trademark battle against online retailer Fitness Direct whose name it claimed was “detrimental to the distinctiveness” of its brand. Sports Direct had claimed it was at an "unfair advantage"
Fitness Direct, which was set up by husband and wife team Sandra and Faycal Makhloufi in 2014, sells sports equipment including dumbbells and kettlebells online. Sports Direct had launched a trademark suit against the business, arguing that the similarity of the names would lead to its smaller rival having an "unfair advantage", The Telegraph reports. It also argued it had launched a chain of low-cost gyms called SportsDirectFitness.com in 2014. However, the trademark hearing officer dismissed Sports Direct’s argument, highlighting that the two companies’ logos were different and the words were not unique.